I ate a good lunch! (I often do not... what a difference a little protein can make and man was I lucky I'd done it before they called that afternoon). 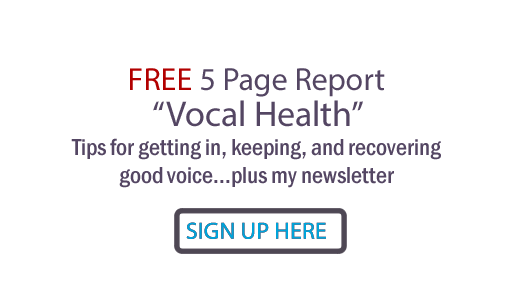 I had used my PPP vocal training method with my speaking voice all day. This way, I actually had exercised my voice instead of trashing it. Lucky! I hydrated like crazy... used the H2O Overdrive product that I find very helpful. I had a good suggestion offered to me by my brother Billy Devereaux, who said that I need to just know and believe that I could do it. Amazing how psychology can have a huge part in what we are capable of accomplishing... thanks, bro! (My husband seconded you). I did a vocal warmup and before I left the house, I sang the song I'd chosen to know I could hit the highs. That helped immensely with the 'believing I could do it' part! I was blessed with a fellow recording artist (Lyndsey Davis of "Summertown") who happens to be an expert in cosmetics and did my makeup and hair. With only a couple of hours to gather myself, choose songs and send pics and get tracks, I will never forget the kindness of some help... and she knew how to minimize bags under the eyes (ok it's a girl thing maybe?). Any of you have experience with quick-readiness for unexpected gigs? Share! so that i can quickly print out appropriate set lists! is now available at the markets like whole foods, etc. I think it's the difference in what I do in my singing life, but most of my "last minute gigs" are a lot more last minute than that. Like having to do a Christmas offertory solo because the people who were supposed to do it didn't show. I had about 20 minutes warning and no chance to rehearse or warm-up at all. Oh - and a capella. Usually I'll only have to do one piece, but the conditions I might have to do it can be anything from an incense filled church to under a tent in a rainstorm. I keep a running list of active repertoire - songs I can sing under any conditions, and that are fairly broadly acceptable. Generally they're not the most interesting or challenging, but I've always got something that works. Perpetual Beginner... first of all, I LOVE your moniker... I feel like that, too. Always learning, always open for something else useful to add to the singer's kit! Sounds like you're not quite the beginner, though:) Thx for the thoughts!